Here is this week’s We Wordle challenge. The words are selected from poems written for Nicole’s prompt #208, Mythology. I think you know the drill: Use a few, use just some, or use all the words. Be inspired and relax about it all. Write. Just write. Post your poem or prose to your blog, and then return here, and post your link in the comments box so we can all enjoy your creation. Have fun! Hello! Thank you for the wordle poets and Misky! Thank you everyone for joining in this week for We Wordle. 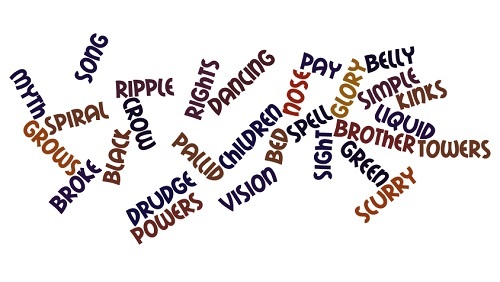 A truly wonderful collection of poems from some tricky words. Thanks!